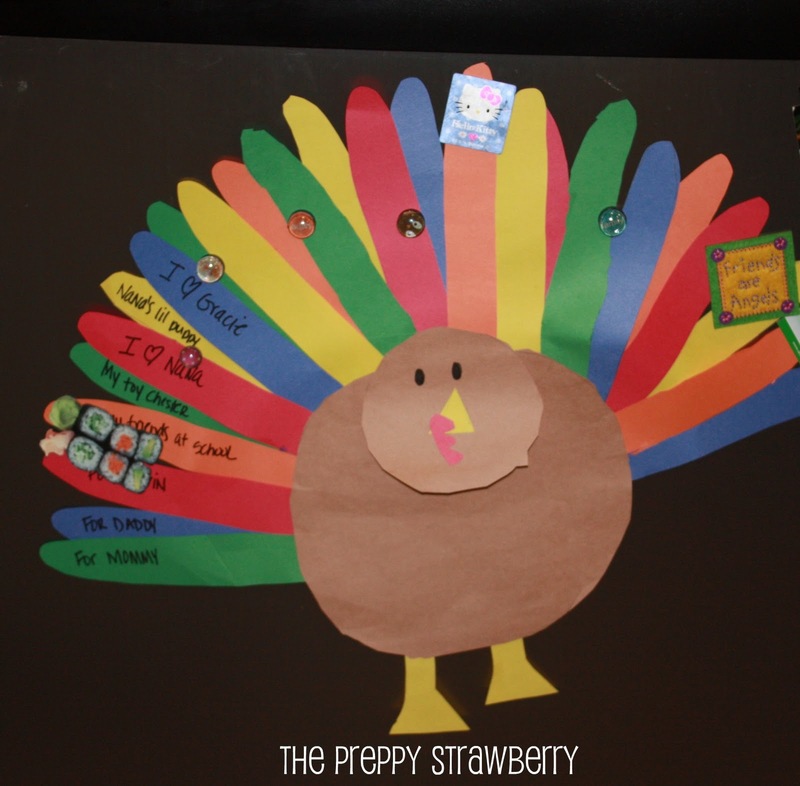 "" The Preppy Strawberry: What are you Thankful for? As Thanksgiving approaches, I wanted a way to include Lilly into the the meaning of Thanksgiving. Now that we are in Preschool 4 she has a better understanding about what the holidays are all about. At first, I was going to use this as a countdown because she is always asking is it tomorrow? 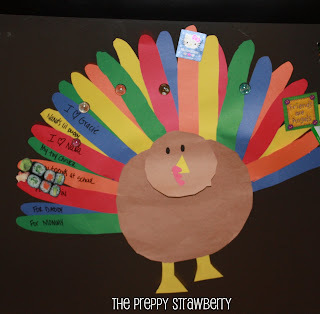 And this goes on until the big event arrives but with this craft I decided to make a thankful turkey. Since this started as a countdown we only have 25 feathers on our turkey and each day she tells me what she is thankful for. So far, I must say I am very impressed with what she has been thankful for? As we get closer I'm sure she will get a little silly what she is thankful for because 25 things will be a challenge for a 4 1/2 year old to to come up with? It was an easy project for us to do together and probably took us about 45 min or so. I traced the body, head, feathers, and feet onto construction paper. 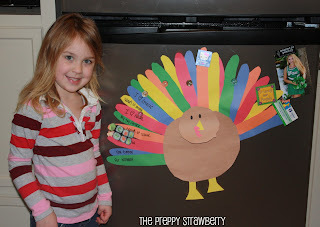 Then we both cut them out - She did the body and some feathers and I took care of the turkey face and feathers!